Has your office considered transitioning to an open office set-up? The open office concept is wonderful for collaboration and connection, but some people struggle with the idea of keeping a collective space with little privacy organized and efficient. Here are office organizing strategies from your NYC Professional Office Organizer that will help you stay organized, improve collaboration, and increase productivity. Simplify storage needs. If you are used to private offices and cubicles that include plenty of storage space, transitioning to an open office with significantly less space can be difficult. This is the time to streamline, reduce all the excess that has been collecting dust and introduce new systems for managing your information and workflow. 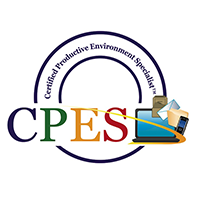 Encouragement and training on paperless systems will eliminate the need for filing space and the paper-related supplies. In addition, you can still personalize your workspace so there’s more of a connection to it, which is a concept that may be encouraged to a limited degree. Consider moveable furniture. This idea has taken on steam especially in offices where there are times for collaboration as well as time for individual work. Being able to physically (and easily) move desks and chairs around the space allows for different teams to work together when necessary. To avoid leaving a trail of stuff in your wake as the furniture is moved, there can only be a minimum amount of possessions on each desk. Those items not needed during the day should be kept in staff lockers. Create other options for seating. In an open floor plan, there’s an opportunity to include other types of seating to promote health and movement with your team. Consider standing desks, yoga ball chairs, or even treadmill desks. As maximizing your space is essential, choosing those options that require a minimal footprint while still providing a healthy alternative is key. Allow for private working spaces. Not everyone will work well in an open floor plan office, and there may be times that a specific task or project requires more focused thinking and a quiet place to strategize. Allowing for a space that everyone can use when they need to minimize distractions is a good idea. If work needs to be done while seated in the open area, trying some of the noise blocking options detailed in this blog will keep you focused. Skip assigned seating. The problem with assigned spaces is that one team member may get assigned to a seat in a space that really doesn’t work for them – an example being assigned a spot away from the window when they work better with natural light. A prime bonus of an open floor plan is the ability to allow your employees to move and work where they see fit. Being allowed to move and work in different spaces allows for greater creativity and collaboration. If your office will be utilizing an open office floor plan, then give these office organizing suggestions a try and see if they increase the collaboration in your workspace. For more office organizing ideas and strategies, reach out to this NYC Professional Office Organizer today.